We have teamed up with Mom Are We There Yet and other bloggers so you could win an amazing camera for your summer travels! Participate now! Say Cheese Polaroid Snaptouch Giveaway! If you are going on vacation across the states, across the globe, to the beach or having a staycation, no matter what, this camera is a fun camera to have. Kids love it and so do adults. It has awesome new features, like filters, borders and stickers of a new tech camera yet has the old-school feature of the Polaroid some of us grew up with. It prints photos instantly! This camera comes in five colors and is entertaining while creating lifelong memories by being able to treasure the photos. If you want to read more about this fantastic camera, you can check out Mom Are We There Yet’s review for the Polaroid Snaptouch here. 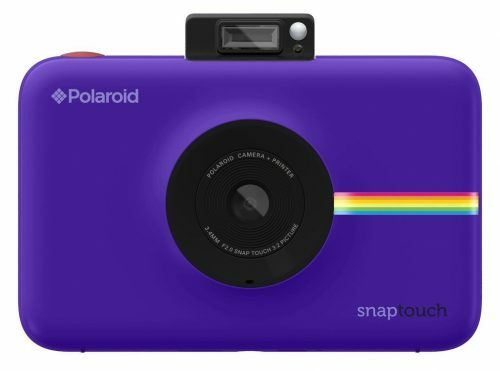 One lucky person will win the Polaroid Snaptouch (retail value approx. $179.99)! To enter just follow the rules in the Rafflecopter below! This contest will run through June 17th, 2018, at 11:59 EST. No purchase necessary. Continental US entries only. Must be 18 years or older to win. This promotion is in no way sponsored, endorsed, or administered by or associated with, Facebook. You understand that you are providing your information to Mom Are We There Yet and not to Facebook. Please note that Mom Are We There Yet and other participating bloggers are not responsible for sponsors that do not fulfill their prizes. Mom Are We There Yet will contact the sponsor regarding your prize. If there is an issue with a sponsor, please notify the blog you won a prize from within 4-6 weeks for assistance, after that we may be unable to assist you.